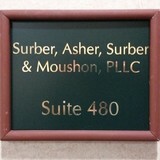 Hours: Monday To Friday : 8AM–5PM Saturday To Sunday: Closed Whether you need help to collect your past debts or need professional representation in criminal law cases, Surber, Asher, Surber & Moushon PLLC is at your service. Give a call to our office in Nashville, Tennessee, and schedule the initial consultation. We will take the matter into our hands and do our best to secure a positive outcome! Don's Lawn and Maintenance Service is founded on the conviction that our customers' needs come first, a philosophy that we are fully committed to. We hold ourselves to the highest standards of professionalism. As a result, a high percentage of our business is from repeat customers and referrals. 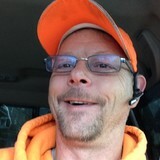 Don Ford is the owner and operator of Don's Lawn and Maintenance Service. His professional experience as a handyman extends back more than 20 years. Don is proficient at a multitude of indoor and outdoor home repairs, including painting, wall and molding restorations, and numerous other common repairs and renovations. One of his fall and winter specialties is home organization. If you have a garage, shed, closet, or attic that needs cleaning and organizing, Don is your handyman. Organizational projects may include installation of shelving, cabinets, racks, pegboard and a variety of other organizers. Don has been mowing lawns professionally in Nashville for over four years, but long before he began his lawn care business, he was doing lawn mower and small engine repairs. Some of Don's clients enjoy mowing their own lawns, but would rather not maintain their own lawn equipment. Common services include deck cleaning, blade sharpening, tune-ups, belt replacement, and a variety of mechanical repairs. We welcome the opportunity to earn your trust and deliver you the best service in the lawn and handyman industry. 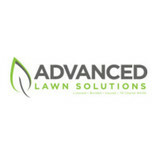 As an established local company we are driven to affordably renew, maintain and manage your lawn. We offer flexible service scheduling with various billing options that meet the needs of each individual home owner. Let our excellent horticultural knowledge and qualified landscaping capabilities turn your outdoors into an exclusive living space. At Grasshopper Design we understand that each client is NOT the same and by paying close attention to detail we will work by your side to provide a service that you are satisfied with every time. We are a full service Lawn and Landscaping company that strives to provide our customers with the highest quality service at an economical price. We hope that with our dedication to our customers and continuing to provide exceptional landscapes, will allow us to grow our customer base through out Middle Tennessee. Established by Brad Shoemaker in 1999, Clean Cut Clarksville offers the best in residential and commercial lawn care and maintenance. Brad's dedication to perfectionism and taking pride in everything he does has spilled over into his business. Locally owned and operated for over 15 years, the Clean Cut team has the knowledge and man power to address any clients needs, from as simple as basic lawn maintenance to the most challenging yards. Clean Cut is committed to serving our customers with the attention to detail that you have come to expect. Whether you are a commercial, industrial or residential customer, Clean Cut Clarksville's staff of experienced trained professionals are here to help. Discount Lawncare, LLC is a licensed and insured family-owned business serving both residential and commercial clients throughout the Middle Tennessee area. 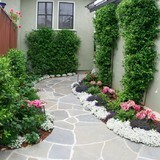 Our company is committed to providing the best service when it comes to maintaining a beautiful property. We realize the importance of quality work and pride ourselves on providing our customers with a variety of services such as lawn mowing, trimming bushes, landscaping, mulching, year-round clean ups and much more. We service Residential, Commercial, Home Owners Associations, Foreclosed Properties, Real Estate Agents and much more. Our dedication and professionalism keeps our customers returning year after year. We look forward to earning your business. "Locally Owned & Operated Since 1982"
Lawnstarter makes lawn care easy for homeowners in Nashville, TN. Our end-to-end platform connects customers with highly skilled, professionally vetted lawn care services in Nashville to take the hassle out of lawn maintenance. LawnStarter delivers a high quality, efficient experience that saves our customers time and hassle, so they can focus on what’s most important to them. Mid TN Lawn Care is committed to giving our customers the best value for lawn Service and landscaping needs. Our crew members never cut corners and we want to make sure that our customers are satisfied with every cut. We want to be your local lawn care company providing you honest, personalized service in the Middle Tennessee area. Our goal is to give residential homeowners a dependable, affordable, top-notch choice for lawn service and landscaping. At Golden Landscapes we pride ourselves in our extensive knowledge of irrigation maintenance and repair. 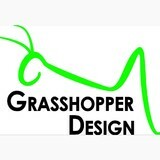 We strive to help keep your grass green and keep your pockets green also. We will take time to position spray heads to get the best possible head to head coverage with out any flooding, or spraying on to driveways, sidewalks, or any other area that doesn't need to be watered. If your system is damaged we will figure out what is wrong and fix it promptly. This includes repairing busted ungrounded pipes, electrical issues, above ground back flows, and submerged pumps. If you need an extension added to your irrigation system we do that too. Like It Was Mine Lawn Care strives to provide you with the best and most cost effective way for you to maintain your lawn, leaving you with on less thing for you to worry about. We have over 10 years experience in the lawn care industry. We take pride in our services and offer full satisfaction. We'll treat your lawn and property as if it were own and make sure that you're complete satisfied with our services. Give us a call for a free quote! In addition to the maintenance side of gardening, Nashville, TN gardeners can help you with garden design and choosing specific plants and grass types for your climate and area. Find a Nashville, TN gardener on Houzz. Narrow your search in the Professionals section of the website to Nashville, TN gardeners. You can also look through Nashville, TN photos to find examples of yards that you like, then contact the Tennessee contractor who worked on them.